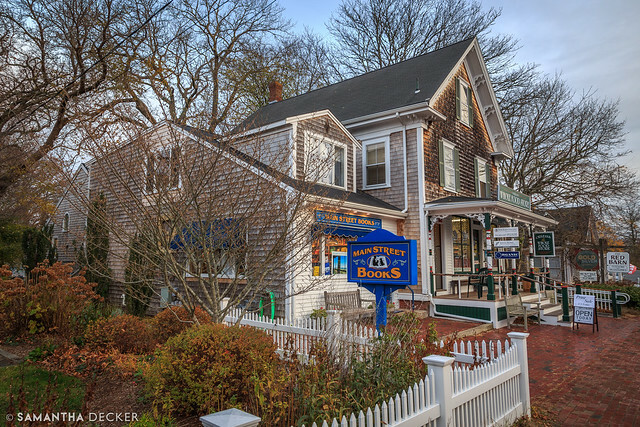 The Atwood Higgins guest house is part of the Atwood-Higgins Historic District in Wellfleet which dates back to the 1700s. 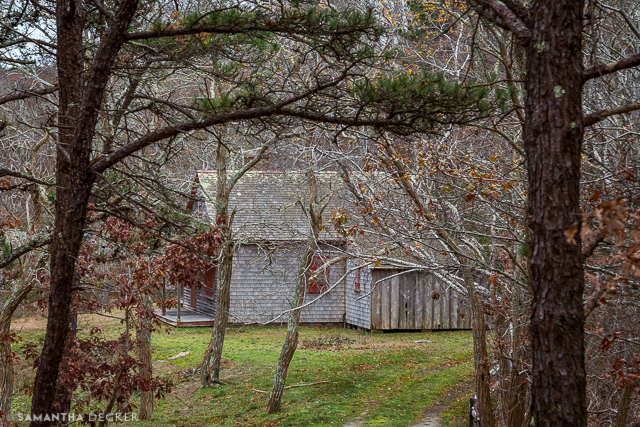 I took this photo passing by, but I am determined to return to the property and take more photos. 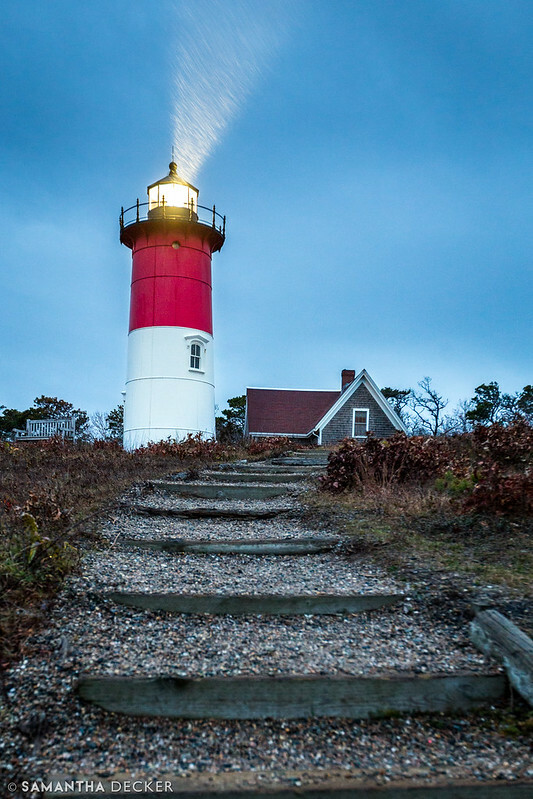 The rain was falling hard when I took this photo of Nauset Light in Eastham. 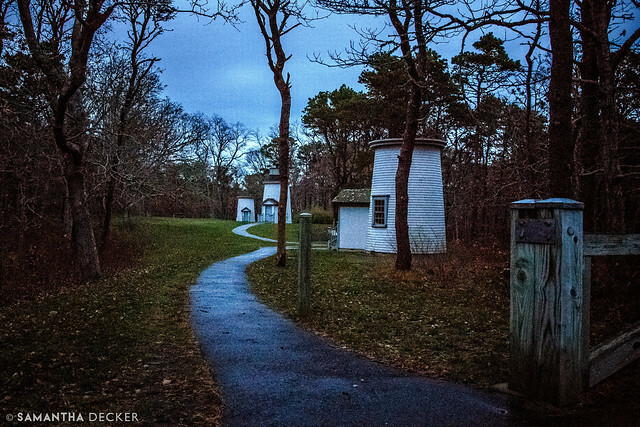 The Three Sisters Lighthouses in Eastham look a little spooky in this dreary light. 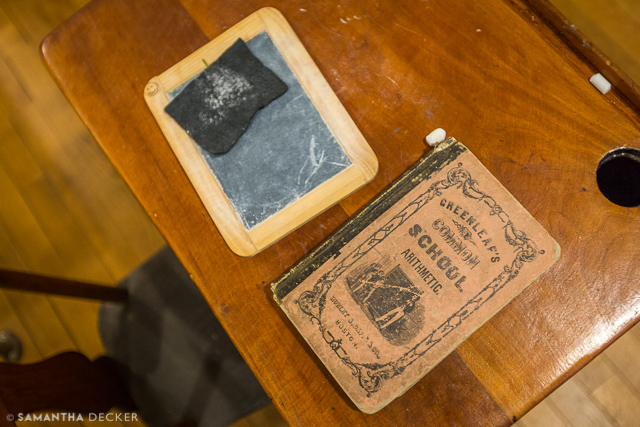 Some shopping in Orleans brought me to this photo. 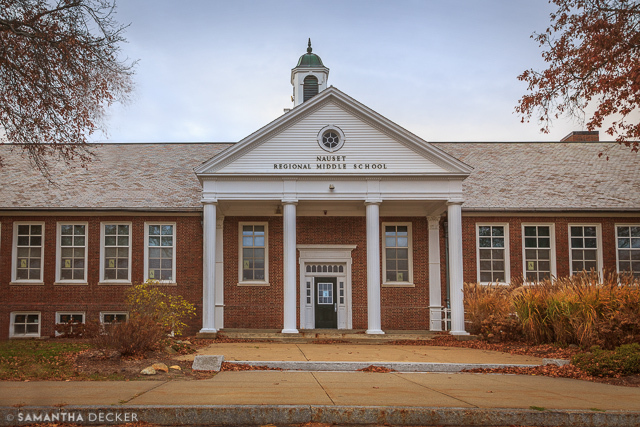 I love the building the Nauset Regional Middle School is in! 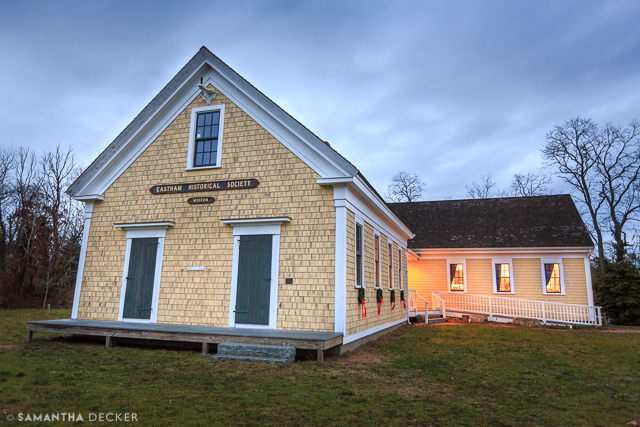 The Eastham Historical Society on the Outer Cape is located in a former one room school house, which is still set up to look that way. 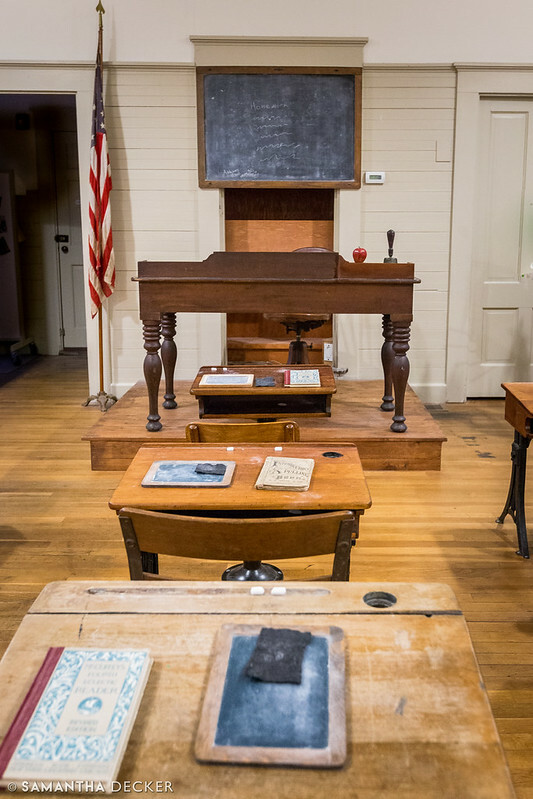 I love the books and slates on the desks! 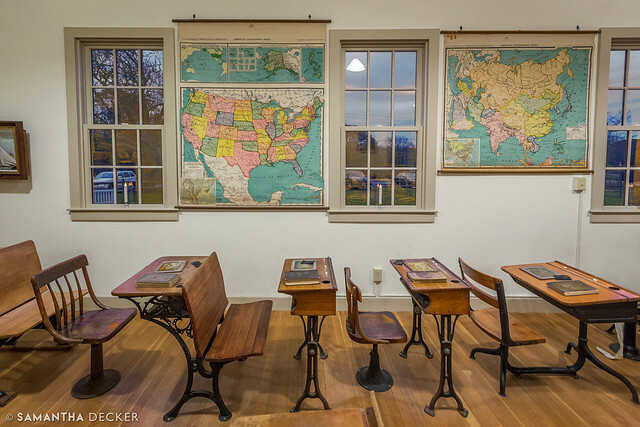 The outside of the historical society shows how it was a one-room schoolhouse and then expanded. 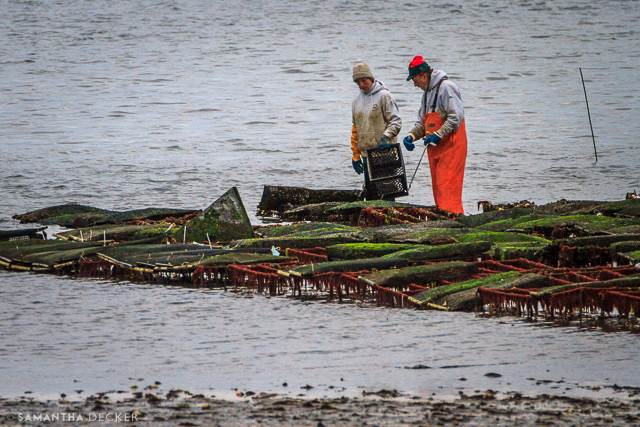 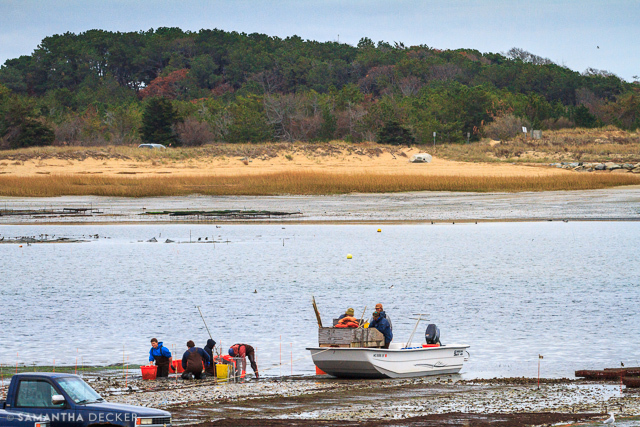 Fishermen and women were out on a chilly day harvesting shellfish. 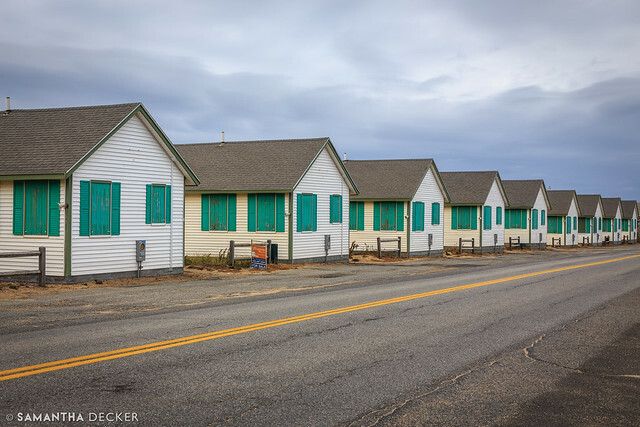 These cottages in Truro, although you can't tell from the photo, are right on the beach. 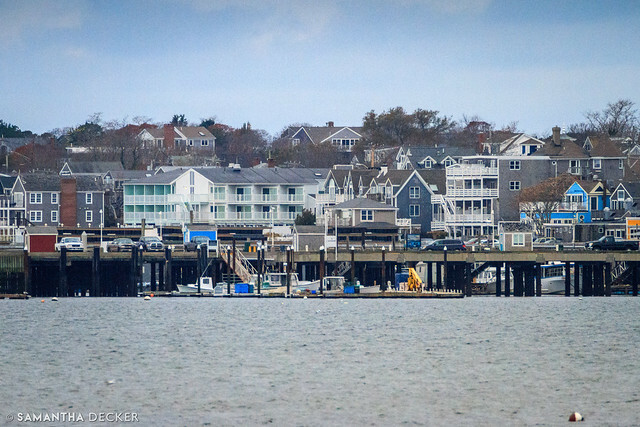 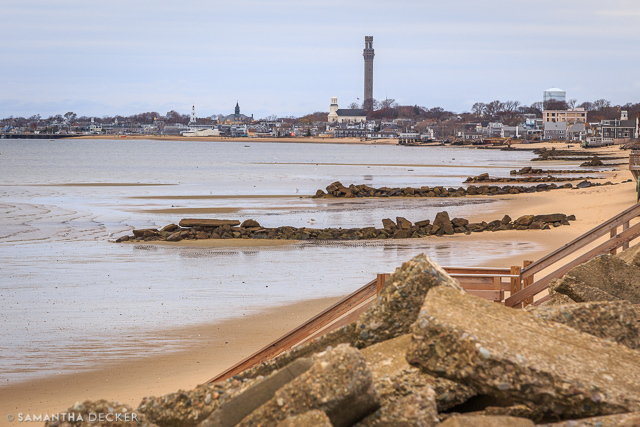 I took a few photos of Provincetown from North Truro. 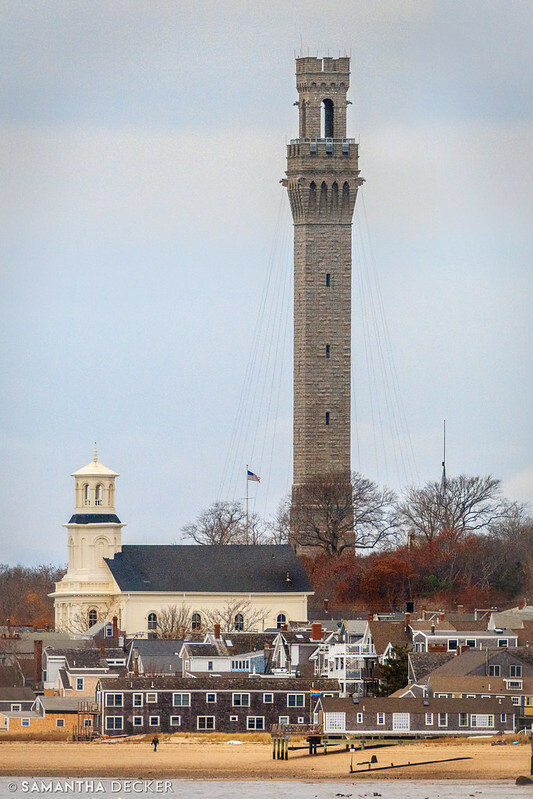 The Pilgrim Monument is perhaps the most impressive piece of architecture. 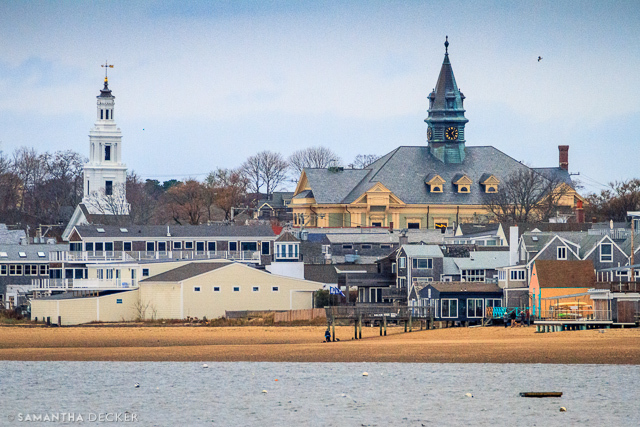 From across the bay, everything looks compressed.